There is a lot of information out there about how converting to a Roth IRA is a great move for younger people. This is no surprise. A younger person who converts may pay taxes on a smaller IRA balance and have years to accrue tax-free earnings in their Roth IRA. But what about older people? Older individuals should not overlook the potential tax benefits of converting later in life. When you convert your traditional IRA to a Roth IRA, your pre-tax traditional IRA funds will be included in your income in the year of the conversion. This will increase your income for the year of the conversion, which may impact deductions, credits, exemptions, phase-outs, AMT (alternative minimum tax), the taxation of your Social Security benefits and Medicare Part B and Part D premiums; in other words, anything on your tax return impacted by an increase in your income. That is a tax hit for sure, but keep it in perspective. Remember, the extra income is only for the year of the conversion. The trade-off is the big tax benefit down the road. If you follow the rules for qualified Roth IRA distributions, all your Roth IRA funds, including the earnings, will be tax-free when distributed to you. Not a bad deal! Thinking a conversion may be the right move for you? No matter what your age, you should ask yourself three questions. First, when will the money be needed? Do you need your IRA money immediately for living expenses? If so converting may not be for you. Second, what is your tax rate? If you are retired and your income is lower, that may favor conversion. The third question to ask yourself is whether you have the money to pay the tax on the conversion. It is best to pay the conversion tax from non-IRA funds. After you convert, your converted funds can always be distributed from your Roth IRA both tax and penalty free if you are over age 59 ½. However, no matter what your age, you must wait five tax years from the year of your first Roth IRA conversion or tax-year Roth IRA contribution to any Roth IRA to make a tax-free Roth IRA distribution of earnings. The good news is that earnings are considered the last funds distributed from your Roth IRA(s) and will never be subject to the 10% early distribution penalty if you are over age 59 ½. Here's more information on the Roth IRA 5-year rule clock. Another plus of converting is that fact that you are not required to take required minimum distributions (RMDs) from your Roth IRA. If you convert your traditional IRA to a Roth IRA, you must take your RMD before converting. However, you will not have to take any more RMDs during your lifetime from your Roth IRA. 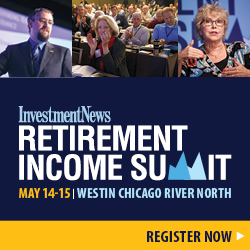 For those with large IRAs and large RMDs, this could be a big tax savings. You may be thinking that converting is not for you because you don’t want to pay the tax. Don’t forget the big picture. In the short run, there will be a tax, but in the long run, the tax-free build-up can go out for decades or generations. A Roth IRA can be a great estate planning tool. The converted Roth IRA can be stretched in the same manner as a traditional IRA. Because RMDs are not required during your lifetime, your Roth IRA can sit there growing tax free for your beneficiaries who will inherit more because of this extra growth. Roth IRA distributions to your beneficiaries are generally income tax free, in contrast to traditional IRA distributions to beneficiaries, which are generally taxable. If your beneficiary takes a distribution from the inherited Roth IRA after five tax years from the year of your first Roth IRA conversion or tax-year Roth IRA contribution to any Roth IRA, the distribution will be completely income tax and penalty free. Is a Conversion Right for You? Should every older person with a traditional IRA convert? No, of course not. Conversion is not the best course of action for everyone. However, it is not off the table for older individuals. Age is just a number. Don’t let it prevent you from exploring if you could benefit from this valuable strategy. Are you a good candidate? The best way to find out is to discuss your situation with a knowledgeable financial or tax advisor.